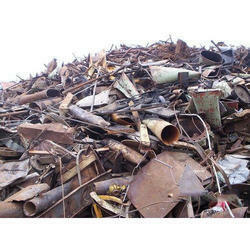 We are a leading Manufacturer of metal scrap from Ahmedabad, India. Metal Scrap offeredcan be made available by us in different metal options comprising recyclable steel, wrought iron, and others. With the choice of HMS 1 and HMS 2 options, the offered metal scrap choices provide for perfect use in production applications in different industry applications. Here, our expertise lies in offering customers cost competitive solutions as well as meet the demands of standard and customized solutions in different cargo weights as demanded by them.